With acts of revenge, which are based on five power games, three reach their ultimate conclusion when it becomes apparent that you cannot get your life by getting revenge, but the two power games that are based on weaving an illusion continue to swing the proverbial pendulum out further. The power games of Envy and Lust, which lead to genocide and slavery, continue to draw more people into the chaos. The plan for the international government benefits everyone, and the solution to every dilemma is to do what is in everyone's best interest, so doing one's project is the solution. We are assuming that everyone has been torn apart by conflict, trapped in the illusion. We are starting with the books, which are channeled messages from God on how to overcome any crisis. At this point, the organization has one independent member--Karen Holmes--and affiliate members in 85 nations who like the plan for the international government. All the potential members, and even strangers, have been dragged into the conspiracy to takeover the organization. The people are log jammed, and in crisis, refusing to come into the organization out of fear they will be targeted, or are holding onto what is dragging them into the abyss, and whatever that may be has become a trap. The organization is still in its potential state, with people scattered throughout many states. Karen Holmes is the director of the organization, and is a channel. Her gift from God is to be able to communicate with anyone "on the other side." She channeled the founding documents, the proposals and the books. 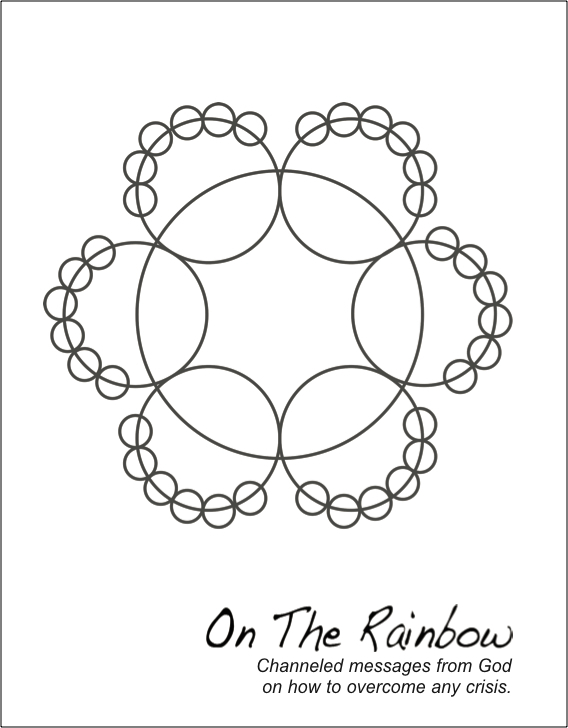 She created On The Rainbow Publishing, her niche based on her gift of channeling, and is printing amateur-quality books for the 200 independent members for when they come into the organization. She can only sell to them, and the professional publishing team will assume responsibility for the professional books,but they are still facing their tests. The books are "channeled messages on how to overcome any crisis." Half the income from the sales of the books will go to support the organization and its projects. Holmes wrote a letter to the ambassadors, for example, and told them that the proceeds from the sales of "The Faith of the Pure Ray" will go to rebuild Iraq. The books were pirated and sold or given to the potential members of the organization, undermining the organization's financial support. None of the proceeds from the sale of the pirated books will go to support the projects, so it is in no one's best interest to purchase the pirated books. As people are facing mayhem and the illusion, they are trapped. Holmes has been targeted, too, and is working to apply the information in the books in her own life. This allows her to prove the information in them is valid. The illusion and the acts of mayhem are very cruel. Many people are in crisis. People must be squeezed to participate in the framework, and this is a very difficult test for everyone. As the books are proven to work, it will become apparent that the games are bad, not the people, and that everyone is in crisis. This is where the next family to come into the organization will arrive. It is up to the "Pure Ray" of the family, to help to set up the crisis center in Brookings, Oregon. The channels will work there, offering free channeling sessions to anyone in crisis. The Pure Ray of the family is the individual who is the overview concept, and allows the family to evolve to the next level, and to fulfill its purpose. The crises centers will expand through our tent tour, when we work with channels from around the United States, but at this point, even the channels in the organization have not passed their tests, and the only people who are willing to listen are the children, who have also been targeted. The children are the light-bearers, but are being dragged into the darkness of fears and illusion. Holmes is sending out her "Pass It On" booklets to people on her mailing list, but most of the potential members of the organization went over to the conspiracy in the belief that they had more power and money to bring about the organization and the projects. They learned that no one can do another's project because it is based on one's talents and gifts, but because they accepted something and participated in the acts of revenge, they are trapped and won't get anything. That is the hell associated with acts of revenge. As people let go of what is dragging them into the abyss, they will be willing to buy the books, and then come to the crisis center. Everyone will go through the crisis center, which will include group channeling sessions, where the illusion will be unraveled. Letting go of the two power games based on weaving an illusion will be very difficult. Those who do it will be the last to come into the framework. It will take them a long time to undo the damage they have done. Why should they do it? Participation in the framework allows them to make their ascension and to function on a higher level, while you cannot get your life by weaving an illusion. True power comes not from the power games, but from undoing the damage you have done. There is a form of mental illness that is pervasive within our organization. This is something that is occurring because mankind is closing in on the transition from the third dimension to the fourth, and what separates the two dimensions is the understanding that you can get the life you want. The problem is that when someone offers you something you want, and you realize you can get your life, you make the leap, but if you know it is based on weaving an illusion, you take the illusion with you. You bounce back and forth between the dimensions. During this time period, fifty innovative project ideas are being introduced and opened to debate. The projects allow all the independent members to function of a far higher level. The ideas were stolen and offered to people who are not considered part of the organization, or the offer was meant to entice people to become part of the conspiracy and to logjam what is rightfully that person's. Our World Peace Marketing Strategy includes a project that helps to heal this form of mental illness, but it requires people who are grabbing for what they believe is rightfully theirs to let go of what is actually dragging them into the abyss. Many other projects must come first, including a training program for everyone who will participate at the conference of world leaders. Our independent members must be ready to assume responsibility for the roles they will play, and not running around perpetrating acts of mayhem because they believe they are being controlled. People are grabbing for power. They are equating ideas like money and power, and if they want money or control, it makes them open to control by someone else. Many people, when they lose their money also lose their power, so people are dying because of this. In our Crisis Packet, Archangel Michael's booklet, "A Little Angel Told Me...", tells readers that the end of life crisis is "like playing poker with the devil [someone who is dragging you backwards in your progress] and you don't even have a pair of sevens. Well, the devil doesn't even have that." The principles associated with the Exit Strategy for Iraq start with revenge, and how it works and why it doesn't. If you are out for revenge, that is all you will get. You won't get respect. You won't get abundance. You won't get anything that seems to be offered to you. You cannot get your life by getting revenge. You can't even do your project if you choose to go down into the power games of revenge. There is always a backlash to the games. The acts of revenge against Saddam Hussein drew in Tony Blair, the Coalition nations, the dictators who declare themselves to be allies in the War on Terror, but use the US support to oppress their own people, and the terrorists. They all had the common goal to get revenge, and they won't get anything out of it but revenge. You have to understand what you have. If you lack power, you grab for it. Power comes from assuming responsibility to undo the damage you and others have done. You come up with a plan that benefits everyone, and under Universal Law, to get power you must enable others to have it. The plan for the international government enables every president to be considered equal to all others, and to have the power to assume responsibility for the problems we are facing as a planet. This allows the United States, for example, to function on a far higher level than by military might. Being president during the era of the international government will be kind of boring. No swaggering. The role of the president will be to decide if the bills placed before them are executable. The presidents from every nation will vote on whether they believe the bills should become law. They will be out of the country for months at a time, responsible for representing their nation during the debates and votes on bills, and solving problems. The duties and responsibilities of the branches will be discussed in greater depth in "A Manual for the One World Government," by Seth and Karen Holmes. The first proposal is the Exit Strategy for Iraq, and what is occurring within our organization is occurring on the international level. The contingency is that the people of the United States work together to amend our Constitution to create the additional layer of government over what already exists. From the wider perspective, mankind is going through a schism. Some people are choosing to go up and to support the plan for world peace that benefits everyone. Some people are choosing to go down into the power games, thinking they have the right to get revenge on others. Some people see no way out of their crisis and are passing it on to future generations. To end the genocide, must stand up to defend the person who is being defamed. To attempt to wage a war only makes the crisis worse. If you have a project idea, and are working your way through the Getting Out of the Abyss curriculum, the first question you must answer is, "Are you willing to stand on the principles of Universal Law?" You cannot get the life you want by breaking Universal Law. This is a fact. 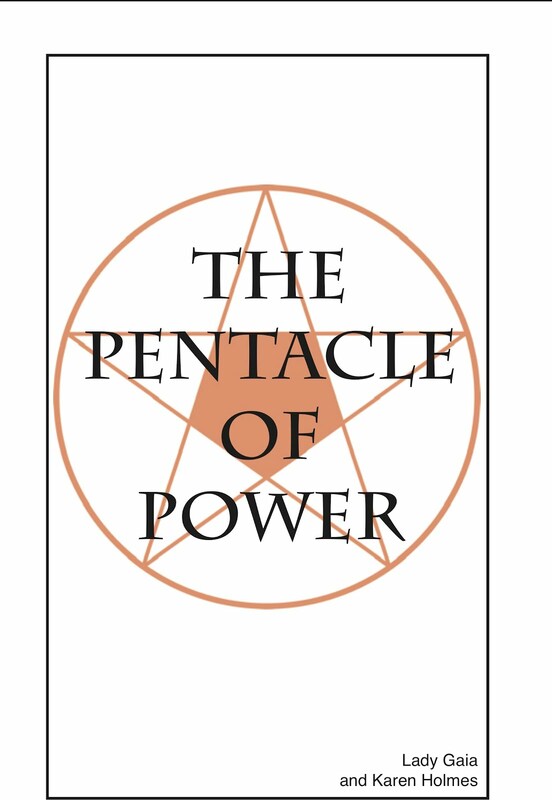 The Intuitive Computer diagram and booklet that is including in the Power Packet is a demonstration of the twelve choices you have that enable you to get out of your crisis. It is based on the premise that we always have three choices, to go up, down or straight ahead, and the chart tells us what the choices are and then the ramifications of our choices. It reaches the point where you have only one choice, and that is to go up. Any other choice leads to your death. One rule that we received is that the channels must be the first to come in, and the reason for this is that people must be squeezed to come in, and the channels enable the people in crisis to have a way out. This rule was twisted and subverted by the people perpetrating the hostile takeover of the organization. They hired people to go onto the astral plane and to follow all the channels around to prevent the channels from getting insights, and they refuse to leave. The pirates that follow Karen Holmes around are family members of one potential independent member--the next family to come into the organization. The brothers sing all the time, and weave an illusion by telling stories about what is happening to other people, but the stories may or may not be true. The first step for each of the proposals is to bring in the independent members, and the first two proposals involve helping people out of their crisis. The professional publishing team draws in people who will publish our trade books, which are channeled messages from God on how to overcome any crisis, and the second is the crisis center, where the channels are available to anyone for free private sessions. It is impossible to channel when many people are following you around and singing 24 hours a day. It is impossible to bring in anyone and help them to overcome their crisis when the channels are being targeted. Group channeling sessions allow the channels to demonstrate the validity of the messages. When ten or twenty people are all channeling the same message, it is quite a sight. There is no way for the channels to be making up the messages when someone asks a spontaneous question and all the channels respond with the same answer. Our gifts are not being harmed in any way. It is the people in crisis who don't have any way out of their crisis. To logjam the potential members of the organization and then the general public from coming to get help during their time of crisis means that no one has any help at all. No one includes the people on the astral plane who are preventing others from getting any help. Many people are in crisis. The numbers are growing, and if that were not enough, the oppressive power games related to twisting and subverting the plan for world peace is based on slavery and genocide, which involve crimes against humanity. Generation after generation of people are being dragged into crisis. These people are playing power games of weaving an illusion. Everyone is in the illusion, and at our prayer circles, with group channeling sessions, it is possible to unravel the illusion. This is what occurred during the original prayer circle when Karen Holmes made her ascension out of the illusion. Our rules related to security are that anyone who comes to any of our events and plays a power game will have his or her picture taken and they will be denied access to any future event for a period of six months to one year. The people on the astral plane have left themselves out of our organization framework, and are not considered part of our organization. The first lesson people must learn is that of Universal Law. You cannot get the life you want by breaking Universal Law, but the pirates believe they can twist and corrupt the plan for world peace to their advantage by weaving an illusion. This is how genocides work. They are based on weaving an illusion, and the ripples of effects continue to go out to draw in more and more people. The US legal system is based on the premise that someone is presumed innocent until proven guilty because you cannot defend yourself from prejudice or ulterior motives. At the same time, the power games continue until an innocent person is crucified, and to target the channels means that the backlash against the perpetrators of the genocide have no way out of their crisis, either. Not only that, but the channeled messages include projects that allow them to get their projects, which means they have no projects to help them overcome their crisis. They are out of the organization at this point and have no way to get the life they want. They are one of the ripples of people who were drawn into the conspiracy, into the revenge. To unravel the revenge, the first step involves the fact they were pirated. It is in no one's best interest for the books to be pirated or for the channeled messages to be prevented from reaching people in crisis. The insights are vital, and the income from the sales of the books goes to support the organization's projects and events, which benefit everyone. Many people are aware of the plan now, and that it is the solution to the problems we are facing as a planet and within the nations, and even on the individual level. The problem is that the global genocide has log-jammed everyone and backed people into the proverbial corner. The solution to being backed into the corner is to join the organization or the plan for the international government, but there has been a great deal of resistance because of the log-jamming effect. People are fighting for the lives. In the proverbial corner, you have two choices, and both are untenable. You don't see the choice to go up, which is to stop fighting, turn around and go through the little door that has been there all along but you didn't see it. That is to join the organization or the framework based on making win-win agreements. When I first became homeless, the requirement that was placed on me was that I could not get a job. I had to apply what I had learned to get out of my crisis. Mankind lives in the third dimension, but to make our ascension into the fourth and then the fifth requires that we come to the understanding that we can get the life we want, but also there is the requirement that we live as fourth and fifth dimensional entities. To get out of my crisis, I had to create the life I wanted. Step by step, I have had to make my way through the planning process, but with each obstacle, I have had to find and make a win-win agreement with someone who has what I need and needs what I have. We look at Universal Law of Cause and Effect--Karma--as the main law, and that to get the life you want, you must help someone else get their life, but there is probably a Universal Law for each of the dimensions. In Heaven, we manifest what we need, so we must all learn to manifest, for example, and become dependent on that rather than to rely on having a job--especially one that we don't want. The World Peace Marketing Strategy starts with the Faith of the Pure Ray, and the second project of the second line is the miracles classes, so now we are looking at how to apply Universal Law in our own lives, and this is where the true miracles come. The miracle is not that God talks to people or even makes their presence known to us, but that we learn to live as we do in Heaven.